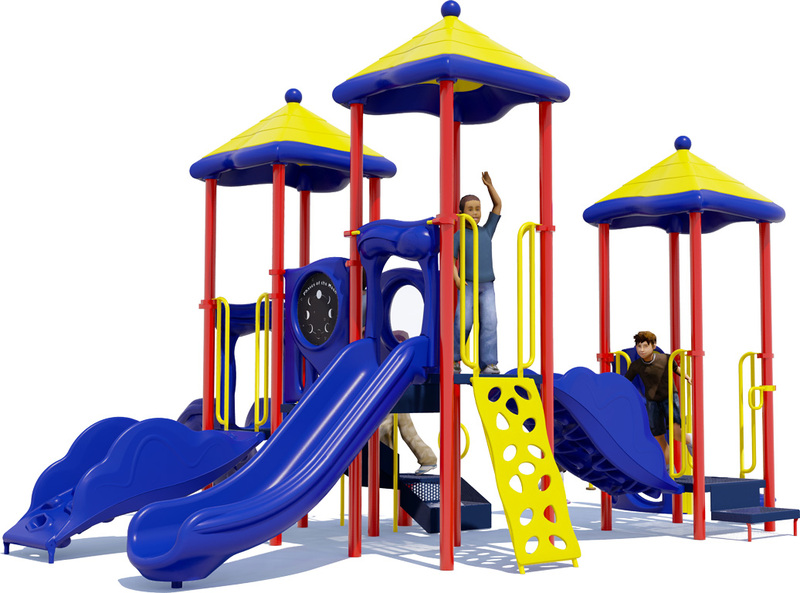 The Triple Play playground structure from American Parks Company is designed to educate, stimulate, and occupy up to 40 children ages 2-5 years. 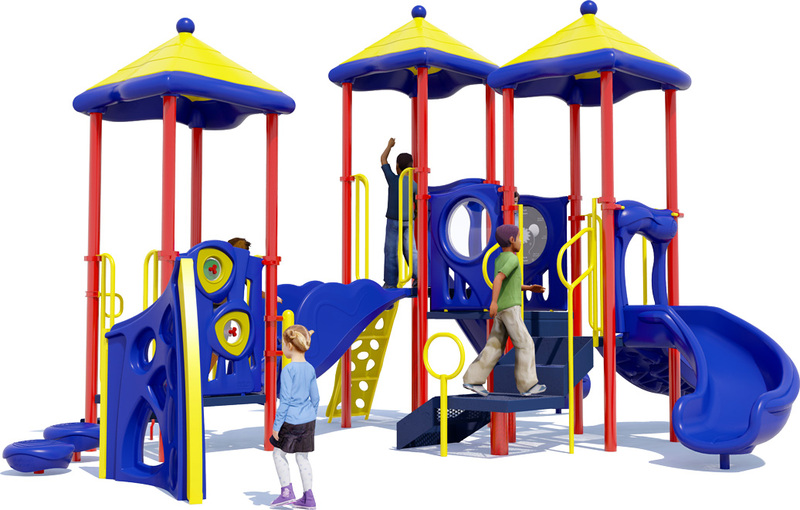 Make learning fun with three engaging activity panels and a playground that offers big-kid climbing adventure for smaller children. 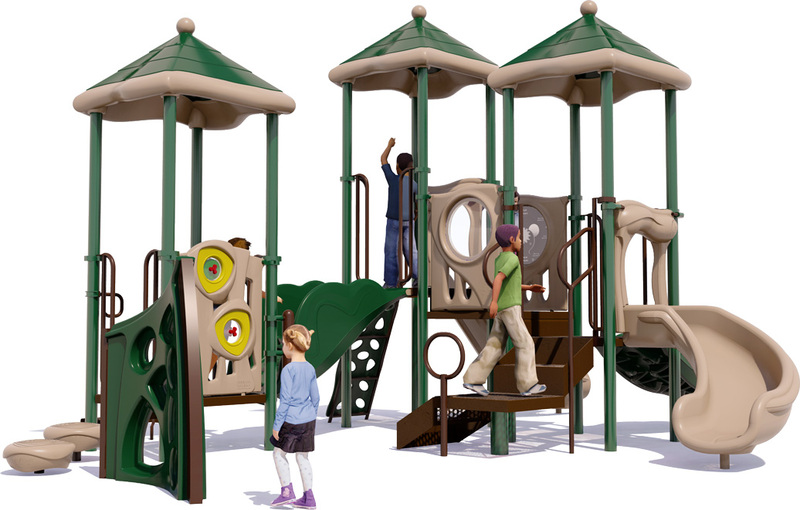 What makes this playground design extra fun is the link between two decks provided by the Surge Climbing Structure. Children love the challenge of climbing from one deck to the other using the link which mimics a mountain climbing inspired adventure for young children. Can they climb sideways? An Apex Lateral Climber which provides another challenge for aspiring climbers! 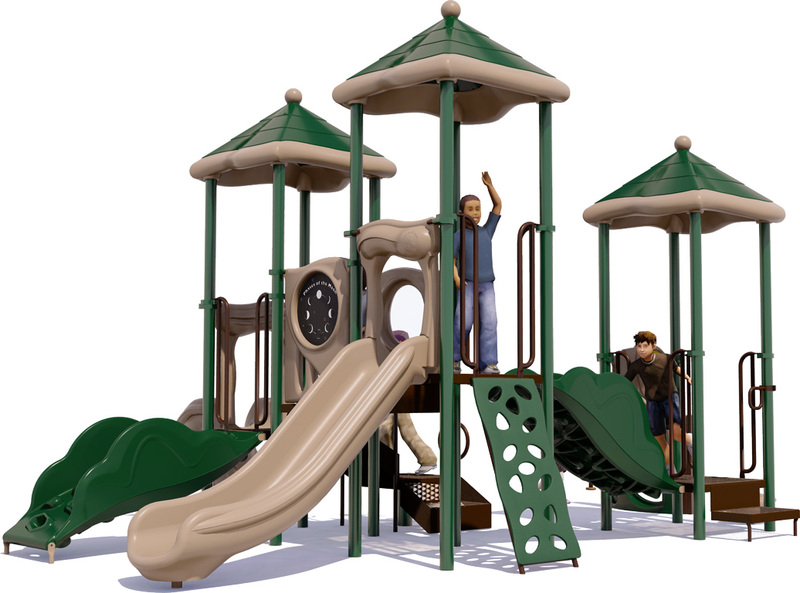 American Parks Companyis a recognized industry leader in quality commercial playground structures, park furnishings, shelters and more. 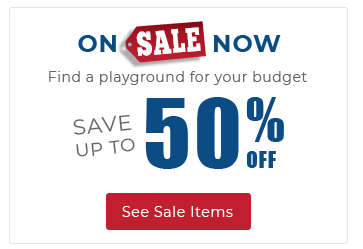 Our team of playground experts will help you source your ideal structure at a great price. Call us at: 1-800-381-4491 for more information. 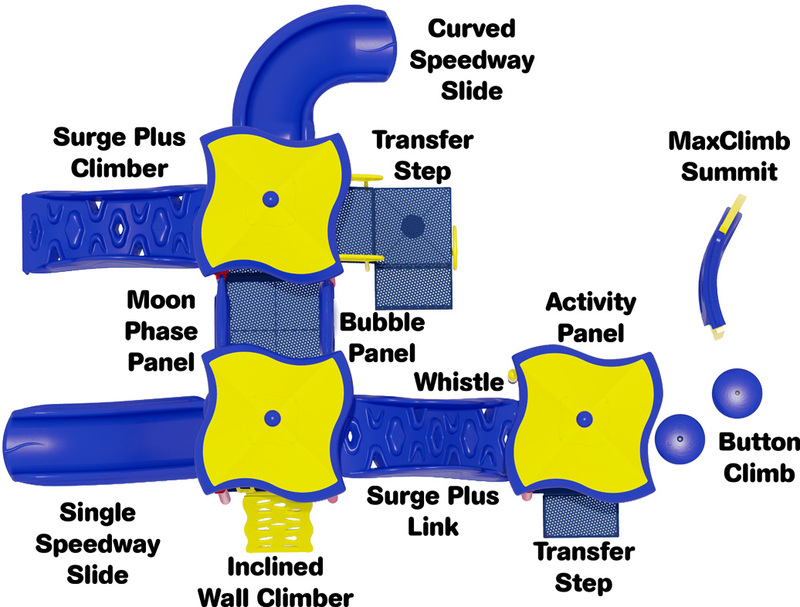 2 Slides, 5 Climbers, 3 Panels, And More!